Turning Point is a clinical-stage biopharmaceutical company developing a novel, small molecule to design new oncology therapies. 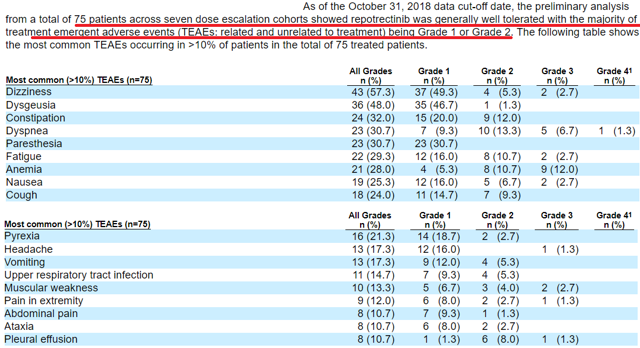 With one candidate, TPX-0005 (Repotrectinib), at Phase 1/2 of development and three more candidates at the preclinical stage, the company is still at an early stage of development. The underwriters decided to give the company a valuation of $257 million. It could be lower as there are competitors like CytomX with a valuation of $53 million. The company expects to provide additional information at the 2019 annual meeting of the American Society of Clinical Oncology. This meeting should take place from May 31, 2019, to June 4, 2019. Global lung cancer market has disclosed a total market of $36.92 billion by 2023 and a CAGR of 13.5% from 2017 to 2023. Turning Point (TPTX) has many appealing features. Firstly, there is a long list of institutional investors as shareholders. In addition, cash in hand increased by 124% in 2018 as demand for the company’s equity increased. With that, underwriters priced the stock a bit expensive as compared to other peers like CytomX (CTMX). 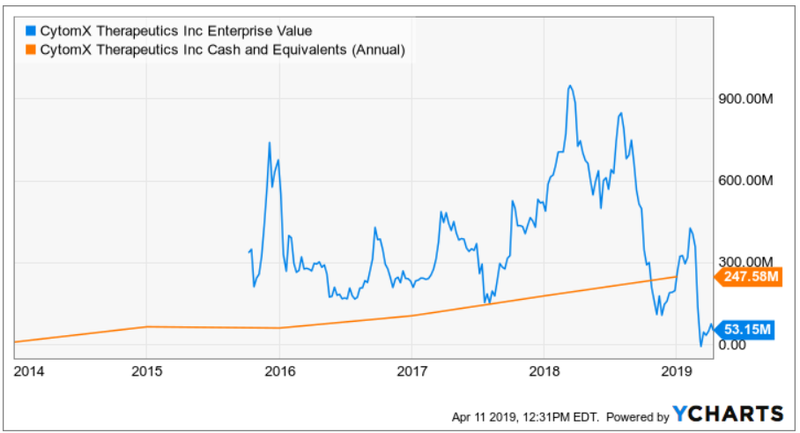 The total enterprise value is expected to be equal to $257 million with CytomX reporting a valuation of $53 million. Founded in 2013, Turning Point is a clinical-stage biopharmaceutical company developing a novel small molecule to design new oncology therapies. The company’s leading candidate, TRIDENT-1, is being tested to treat patients with ROS1+ advanced non-small-cell lung cancer (NSCLC) and patients with ROS1+, NTRK+ or ALK+ advanced solid tumors. According to the prospectus, Turning Point expects to finish its Phase 1 with 75 patients soon and should start developing Phase 2 in the second half of 2019. Share price increases should be expected after the release of Phase 1 data. New investigational drug applications are also expected for candidates TPX-0046 and TPX-0022 in the second half of 2019. The share price may also increase as these new developments are released. However, most sophisticated investors should wait for the company to finish Phase 1 or Phase 2. The market opportunity is huge. Note that 1.8 million people were expected to die of lung cancer in 2018. Global lung cancer market has disclosed a total market of $36.92 billion by 2023 and a CAGR of 13.5% from 2017 to 2023. A large number of institutional investors trusted the company. This feature should increase the demand for the stock. Keep in mind that other institutional investors should be interested in this name after reviewing the list of stockholders. Repotrectinib is expected to compete with other drugs like crizotinib sold by Pfizer Inc. (NYSE:PFE), ceritinib owned by Novartis Pharmaceuticals (NYSE:NVS), and larotrectinib commercialized by Loxo Oncology (NASDAQ:LOXO). Those companies are too large to be comparable to Turning Point. Investors should not use them to assess the company’s valuation. F. Hoffman-La Roche AG (OTCQX:RHHBY) and Betta Pharmaceuticals Co., Ltd. are also developing product candidates that could compete with Repotrectinib. However, RHHBY is large and Betta Pharmaceuticals is a private company, so they don’t serve for the valuation of Turning Point. CytomX Therapeutics, Inc. has cash worth $436 million, no debt, and a total enterprise value of $53 million. With these figures in mind, at $17, Turning Point is overvalued as compared to CytomX Therapeutics. 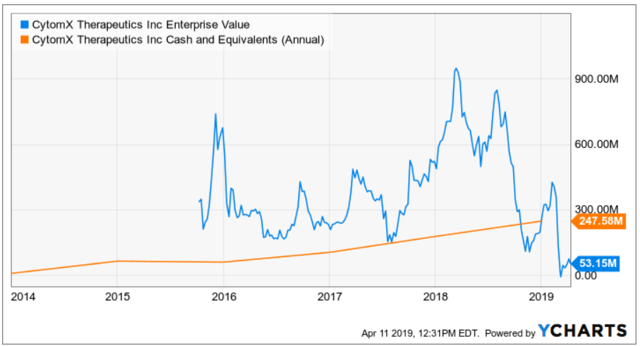 Having said so, Turning Point may start trading at $17 with a total enterprise value of $257 million. Note that CytomX commenced trading with an enterprise value of $300 million and reached $900 million in 2018. While Turning Point is still at an early stage of development, the underwriters decided to give the company a valuation of $257 million. It could be lower as there are competitors like CytomX with a valuation of $53 million. Having said so, CytomX traded one year ago with a total enterprise value of more than $900 million. While this mark appears to be very expensive, Turning Point Therapeutics could reach similar levels. Keep in mind that the pipeline of CytomX is as advanced as that of Turning Point Therapeutics.